Everyone wants bigger and stronger glutes, and most people love to train variations of the bench press. Sometimes you don’t have time to train both. Other times you just want a novel way to develop them. That’s where the bridge press comes in. I came with this exercise years ago for the combat athletes I was working with. The purpose was to build their punching power while maximally engaging their hip extensors, a group of muscles largely responsible for explosive strikes. Indeed, you need super strong glutes and hamstrings to develop devastating punches and kicks. The other benefit of this exercise is that it allows you to train two foundational movements patterns with one exercise. Pair the bridge press with an upper-body pull, such as a pull-up or row, and you’ve got an efficient full-body workout that builds functional strength. I use multiple variations of the bridge press for my clients, but today I want to cover the three primary versions that work especially well for virtually anyone. We’ll start with the bridge press using one band around the thighs, and then I’ll cover two ways to progress the exercise. Description: A strong resistance band is placed above the knees to engage the glutes that resist internal rotation and adduction of the hips. Hold a dumbbell in each hand for the floor press portion of the exercise. The next progression is add more resistance to the floor press (i.e., horizontal push). Description: Here you’ll wrap a long resistance band across your upper back and then loop each end around the handles of the dumbbells. This serves two purposes. First, the band accommodates resistance by matching your strength curve of the exercise. Band tension is lowest at the bottom (where you’re naturally weakest) and highest near lockout (where you’re naturally strongest). The other benefit of using a band is that it doesn’t require you to get heavier dumbbells into position, which can be risky for the shoulders. The additional load comes from simply adding stronger bands. The final progression takes a little work to set up, but it’s well worth the effort. Description: You’ll add a third band across your pelvis to resist hip extension. Use a strong band and secure each end of the loop around the handles of very heavy dumbbells or any other secure objects. I typically have clients perform 3 sets of 6 to 12 reps to build size and strength. I also use it as a corrective exercise for those that need more hip extension strength but have problems performing a standing hip hinge. As mentioned earlier, if you pair this with an upper-body pull exercise it’s a simple way to design a workout that fits in a full-body training program. Another benefit of this exercise is that it spares the spine, making it a great option for high frequency training. 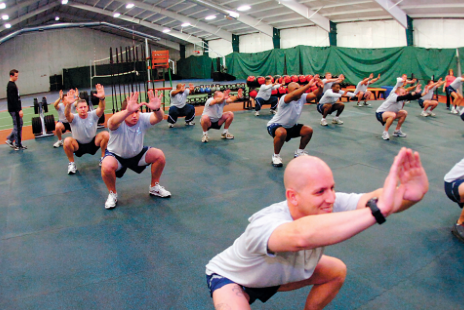 These are some of the strategies you’ll learn when you take a Corrective Exercise Specialist course, which is a terrific way to take your skill set to the next level. P.S. For my daily videos, follow me on Instagram here. There is no doubt that many people have cranky shoulders. This is especially evident when they try to lift their arms fully overhead, or when they’re trying to military press with proper form. When you see a guy or gal excessively arch the lower back when pressing weights overhead, it’s likely that compensation is due to a lack of overhead shoulder mobility. During my first year of the Doctor of Physical Therapy (DPT) program at USC, I got to fully dissect a cadaver. I’ll never forget the week I spent on the shoulder region. Once you see how many muscles, ligaments, vessels, and structures are jam-packed within the shoulder, it’s amazing we could ever lift our arms overhead without pain. Furthermore, the timing and sequencing of muscle activation the nervous system must coordinate while reaching overhead is pretty astonishing. Indeed, when you consider the plethora of structures within the shoulder complex, and the motor control that’s required for smooth, full range of motion movement, it’s no surprise why a lack of overhead mobility is a widespread problem in the fitness community. It’s worth mentioning here that there can be 100 different reasons why you lack overhead mobility. And this is also why there are over 100 different special tests used by physical therapists and orthopedic doctors for assessing the shoulder complex. But there are a few common problems that most people need to correct. One of my favorite corrective exercises to improve overhead mobility is the elbow wall walk. The benefits of this exercise are numerous, but there are three primary goals when you do it correctly. First, it activates the shoulders’ external rotators, which helps pull the head of the humerus into its ideal position. 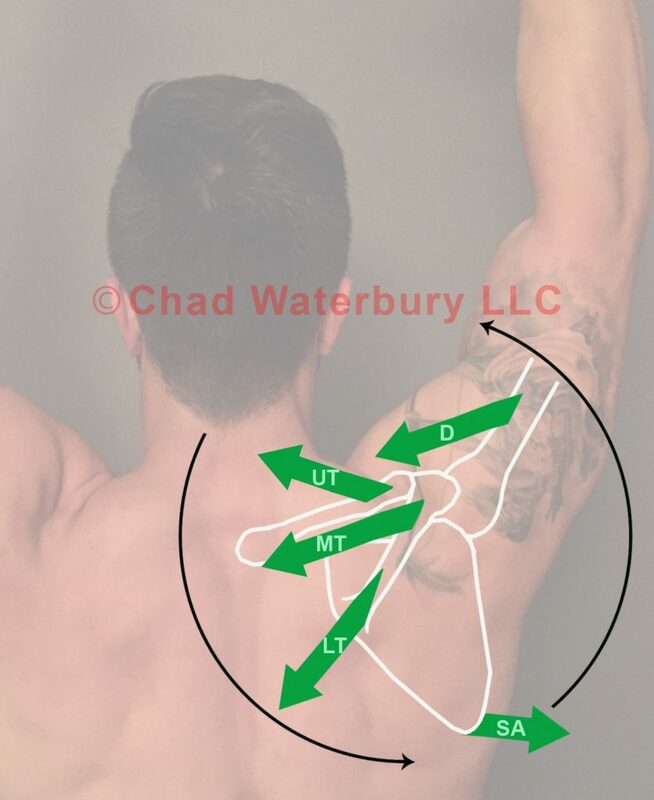 Second, the exercise activates the serratus anterior, a muscle that’s essential for upward rotation of the scapula. Third, the elbow wall walk teaches your client to reach overhead without extending the lumbar spine. The elbow wall walk is a terrific shoulder activation drill to perform before upper body training or Olympic lifts. Nevertheless, if you or your client has problems with overhead mobility it’s important to determine if this exercise provides the benefit you seek. You’ll perform 2 sets of the elbow wall walk, and each set should last 45-60 seconds. Do you lack the ability to reach your arms fully overhead? Perform an overhead reach and have your buddy take a picture of your end range of motion. Measure the shoulder joint angle using one of the many Smartphone apps. After that, perform the elbow wall walk, and then retest (and remeasure) your shoulder joint angle to determine if it improved. Shoulder pain when reaching or pressing overhead? Find the overhead position that causes discomfort, and rate it on a scale of 1-10 with 10 being “emergency room” pain. Perform the elbow wall walk, then retest the overhead position and see if the pain intensity has decreased. Poor shoulder stability when holding weights or a barbell overhead? Perform the elbow wall walk, then retest the exercise to determine if your shoulder stability has improved. 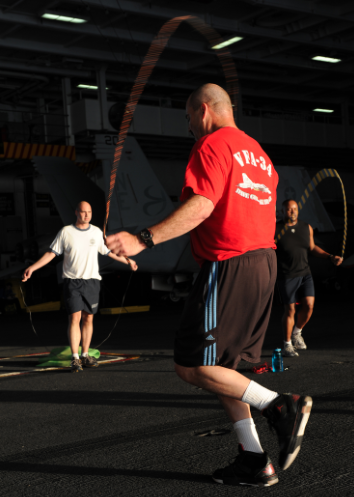 The elbow wall walk requires a TheraBand or some type of light resistance band that can be wrapped around each hand. Be sure to “walk” the elbows up the wall very slowly during this drill, and follow the cues outlined in the video below. If you lack the necessary external rotation mobility to perform the drill correctly, it’s likely your subscapularis is too stiff. The video below shows some techniques to improve that range of motion. Do you have nagging joint pains during, or after, training? Check out my Powerful Mobility ebook. As you program a strength and conditioning plan to prepare an athlete for competition or sport, it’s imperative to know the three types of strength preparation. In this blog, I’ll give a brief overview of each, as well as some sample exercises. If you’ve been around the strength and conditioning world for any amount of time, you’ve undoubtedly heard the term General Physical Preparation (GPP). 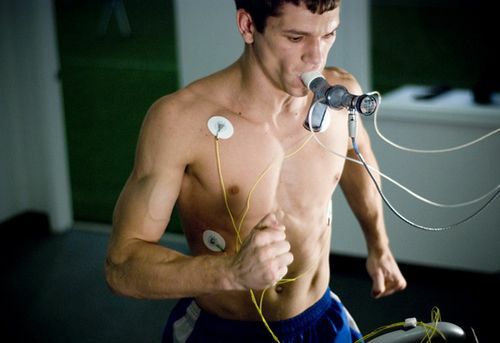 This is also known as General Physical Preparedness, while others like to call it General Strength Preparation (GSP). I mention these semantics up front, because there are numerous terms, used in different parts of the world, to describe the same thing. 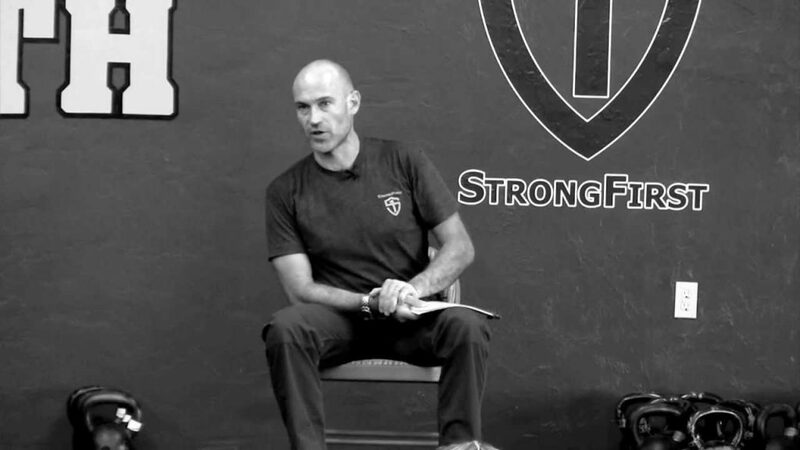 When it comes to sharing information about strength preparation, that’s part of the confusion. My goal of this brief overview is to make the topic of strength preparation as simple as possible by dividing it into three types. Let’s start with GPP. What is General Physical Preparation (GPP)? Imagine you’re working with a teenager that shows promise as a running back. The problem is, he’s pretty skinny and weak overall. He needs to build his full-body power and size, as well as strengthen his tendons and connective tissues using multi-joint exercises such as the deadlift, row and overhead press. Included in this category are basic cardiovascular exercises such as swimming, cycling and skipping rope. What he doesn’t need to do is sprint with a parachute or practice running different routes while wearing a weighted vest. The quest to build the basic components of fitness without regard for the specific movements required in a sport is GPP in a nutshell. When GPP is done correctly, such as the programs in my Huge in a Hurry book, it makes a guy or gal a better overall athlete, which carries over to virtually any sport. So if the kid in question decided to forego his aspirations of being a running back, and switch to another position or sport, his body would be prepared to meet those physical demands. For example, you might determine that a hockey player needs to build his deadlift in the off-season to give him more power and explosiveness on the ice during the next season. So you start with that in the early stages of the off-season, and then work toward more specific physical preparation, which we’ll cover now. What is Specialized Physical Preparation (SPP)? 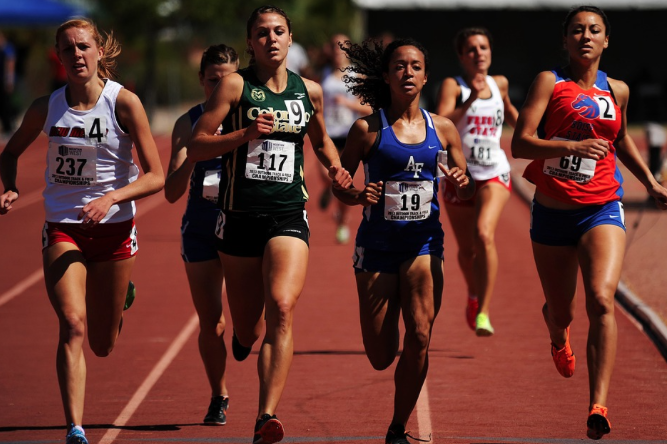 The Specialized Physical Preparation phase (aka, Specific Physical Preparation or Preparedness) is intended to more closely mimic the movements and energy systems’ demands of a sport, when compared to GPP. A primary goal of SPP is to integrate the fitness qualities gained in the GPP phase so they’re more specific to what the athlete will need during a sport. There are two basic phases of SPP, which get progressively more specialized to the sport: SPP phase 1 (SPP1) and SPP phase 2 (SPP2). Let’s stick with the example of the hockey player that needs to improve his explosive power. In the GPP phase you had him build his deadlift, a basic move that doesn’t look much like anything a hockey player does while wearing skates. Now, in SPP1 you’ll have him perform a single-leg squat, which more closely mimics the movement pattern a hockey player must do while on the ice. A single-leg squat isn’t exactly the same, but it’s merging in that direction. This is SPP1. From an energy systems standpoint, you could have the hockey player perform sprints on a track, or up a hill, with rest periods that are relatively short. An example would be: 10 rounds of 10-second sprints with 60 seconds rest between each. 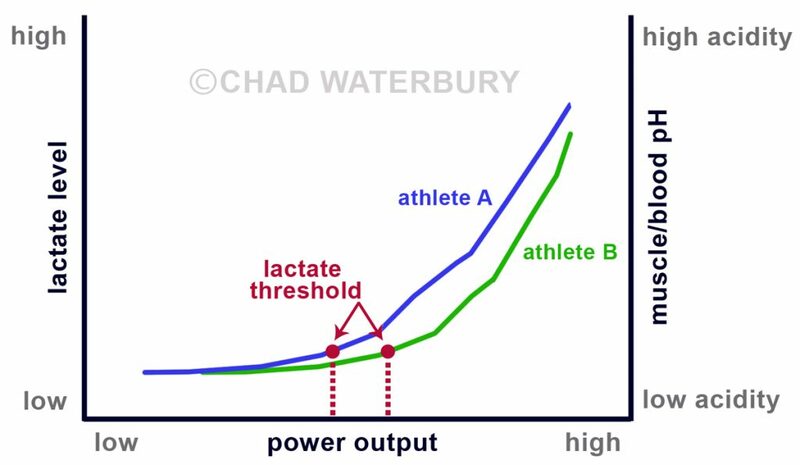 This will start to build the ATP-PC system power needed for ice hockey, progressing from the basic low-intensity cardio in the GPP phase (e.g., swimming, cycling, hiking, etc.). 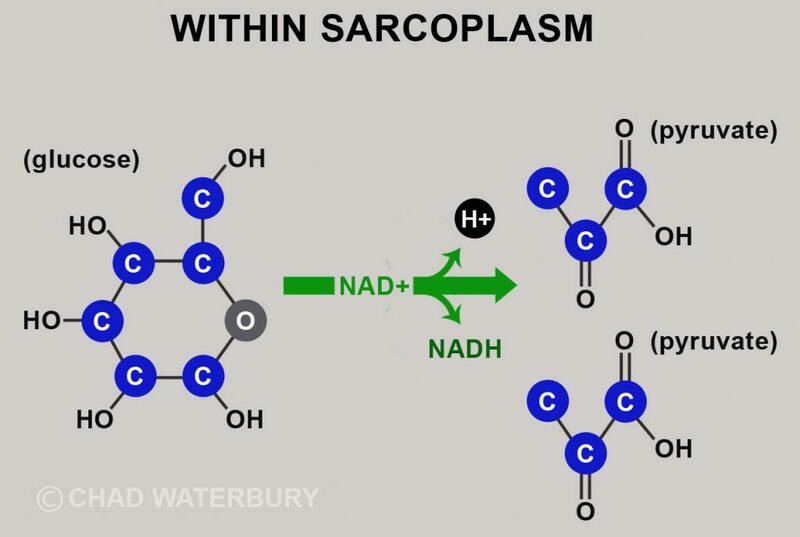 When to emphasize the SPP1 phase: In the second half of the off-season. Now we’re on to the last phase, SPP2, which is intended to mimic the movements and energy systems’ demands of the sport as closely as possible. So instead of focusing primarily on the single-leg squat, you’ll have the hockey player perform drills on the ice while wearing a weighted vest. Indeed, the movement patterns and energy systems are trained in sync with the specific demands of the sport. When to emphasize the SPP1 phase: In the last quarter of the off-season. I want to iterate that the above is a gross simplification of three seemingly separate phases of strength preparation. I did it that way for clarity. In reality, GPP and SPP “always form an interconnected unit” as stated in Supertraining. In other words, your athlete can train the deadlift, single-leg squat, and skating drills wearing a weighted vest in the same phase. The difference, however, is the time and energy you devote to any of those three. During the “GPP” phase, a greater emphasis is put on increasing strength for the deadlift. In the “SPP1” phase, you decrease the volume and intensity of the deadlift to build the single-leg squat. And in the “SPP2” phase, the volume of deadlift and single-leg squat work decreases so you can increase the intensity of skating with a weighted vest. In other words, there’s generally not a GPP or SPP1 or SPP2 phase as much as there’s an emphasis on one of the three, as I’ve depicted below. Also, very specific drills can be performed in the early stages of GPP to rehabilitate an injury or imbalance that occurred during the season. 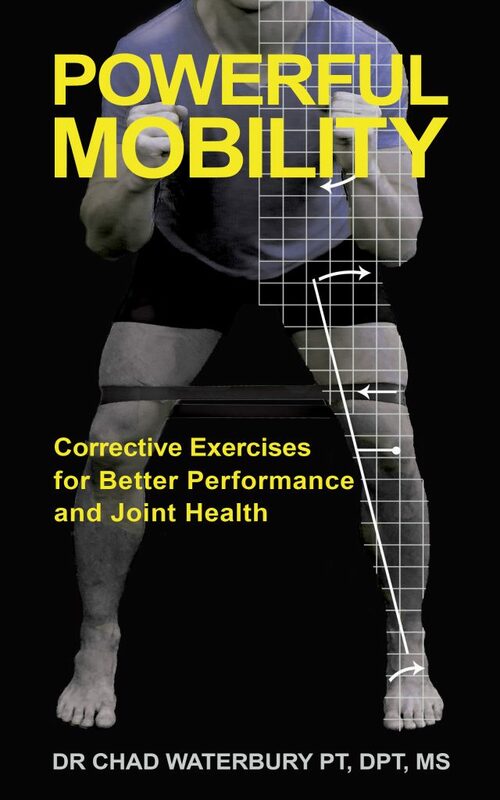 This is one of the best times to perform the corrective exercises in my Powerful Mobility ebook that’s on Amazon. 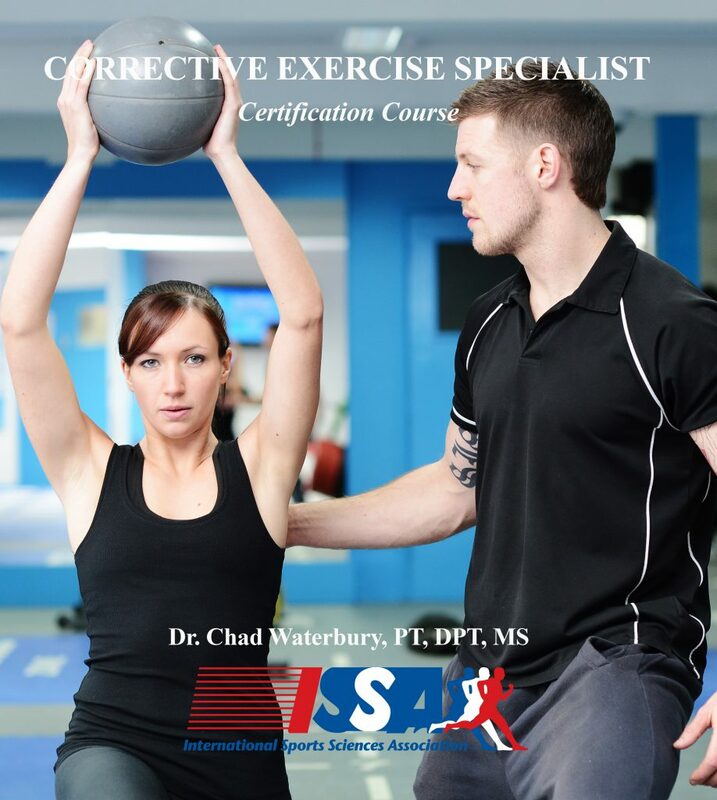 Speaking of corrective exercise, if you’re a trainer, coach or therapist that wants to enhance your skillset and income stream by becoming a Corrective Exercise Specialist, check out my 10-week course at this link. Raise your hand if you know someone that has a nagging injury. Chances are, your hand shot up in the air. That person could be you, a client, friend or relative. Maybe you have knee pain when you squat, or a full-blown rotator cuff tear. Your client might have back pain after doing a deadlift, or elbow pain during the bench press. These days, it seems more people than ever have some type of physical dysfunction that bothers them during or after exercise. Why? There are probably two primary culprits at work here. First, people spend much of their day with poor posture while on the computer or Smartphone. This leads to mobility deficits and joint stress. Second, extreme fitness classes are en vogue. So when people do workout, they often jump into programs or classes beyond their physical capacity. 1. You’ll make more money – Being able to identify and correct mobility and strength deficits will allow you to work with a broader range of clients. Furthermore, you’ll be able to charge more money for your services since you’ll be able to perform interventions beyond what a typical personal trainer certification teaches. 2. You’ll build your reputation – Once you become the guy or gal that can help people perform better with less discomfort, word travels fast. Since virtually everyone has some type of nagging physical issue, and since there aren’t many trainers proficient in corrective exercise, your reputation will quickly escalate. 3. You’ll build a strong network with healthcare practitioners – Every week I get asked by physical therapists, chiropractors or orthopedic doctors for recommendations for trainers that understand how to identify and correct mobility and strength imbalances. When you get good at corrective exercise you’ll have a steady stream of referrals from healthcare practitioners. And this, of course, takes us back to the first benefit I mentioned: you’ll make more money. With those three benefits in mind, I’m excited to announce my latest project that was 18 months in the making. It’s the Corrective Exercise Specialist course that I created for the International Sports Sciences Association (ISSA). You can find out more information about my 10-week Corrective Exercise Specialist course by clicking here.